The weekend goes by in a blur. Between broom ball, archery, crafts, and hot chocolate winter camp is packed with all things camp. 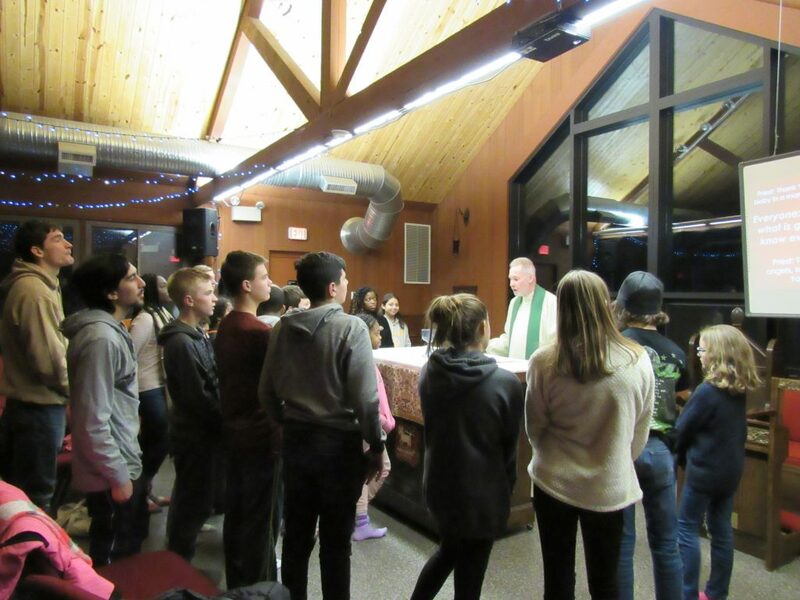 Just like during summer, we gathered twice a day for Christian Formation and celebrated Eucharist together at the end of the weekend. But unlike summer, we watch a movie! This year we did all things Kung Fu Panda. We followed the story of Po becoming the dragon warrior and drew parallels with the story of Joseph fulfilling God’s plan for his life. On the first night Kyle (alum ’15) asked the kids to write down seven dreams they have for their lives that they’re asking God to fulfill. Throughout the weekend we continued to revisit this idea of God’s dream for our lives. As we were cleaning through at the end of the weekend, completely exhausted and still processing the time together, I began to think of my list of seven dreams for my life. I pray for good health, for my family to be well, my friend to get the job she wants, that I would be able to travel more, maybe have a family of my own… my mental list went on of things I wanted for my life. Then I came across a paper left behind by one of the campers (approximately age 11). May this be the prayers and dreams of us all for 2019. May this be God’s will.